September has been such an exciting month, filled with interesting and fun experiences. For this post I will talk about one of my favourite subjects, shopping. Hong Kong is a great place for shopping as it's full of shops and shopping malls with a variety of products for every pocket. In this post I will show you my Hong Kong haul and share with you my favourite places to shop in this vibrant city. I will start with my Hong Kong haul. As Asian cosmetic brands are impossible to find in Greece, I started saving up as soon as I found out about the trip and made some lists to be able to get the things I wanted. I shopped only for cosmetics as my time was quite limited so there was no time to browse around. On the top left you can see my nail polish haul. Apart from the Anna Sui goodies (I loved the nail set with two glitters, a nail strengthener and a nail polish remover), I got some Deborah Lippmanns that I had my eye on for quite some time and a few cheaper nail polishes from brands like Sasa and TonyMoly (I am so in love with this brand right now that I am planning on writing a post just for TonyMoly products). My favourite out of all the things I got has got to be the Anna Sui blush (you can see it in the far right photo in the middle row). The roses are so pretty and I don't think I will ever use it as I don't want to ruin them. I've been wanting to get this for quite some time and when I saw it up close, I couldn't resist. I also stocked up on facemasks and various other drugstore products. If there is anything you find interesting, let me know and I will write about it in more detail. 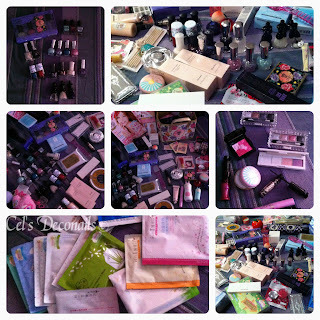 So where to go when one wants to get cosmetics in Hong Kong? There are so many stores and huge variety. For more high end brands like Anna Sui, Shu Uemura, NARS and Jill Stuart you need to head to SOGO, the famous Japanese department store. 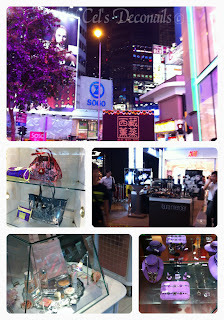 There are a few of them around the city, including one in Causeway Bay and one inside the Langham Place shopping mall. If you want cheaper brands like Majolica Majorca, Kate, Heroine Make and My Beauty Diary head to Sasa which is like a local Sephora (but better XD). They also have their own brand cosmetics which are really nice. You can find Sasa stores everywhere. For Japanese brands you can visit the local branch of Daiso that is called Living Well at the moment. Everything in the store costs 12 HK dollars. 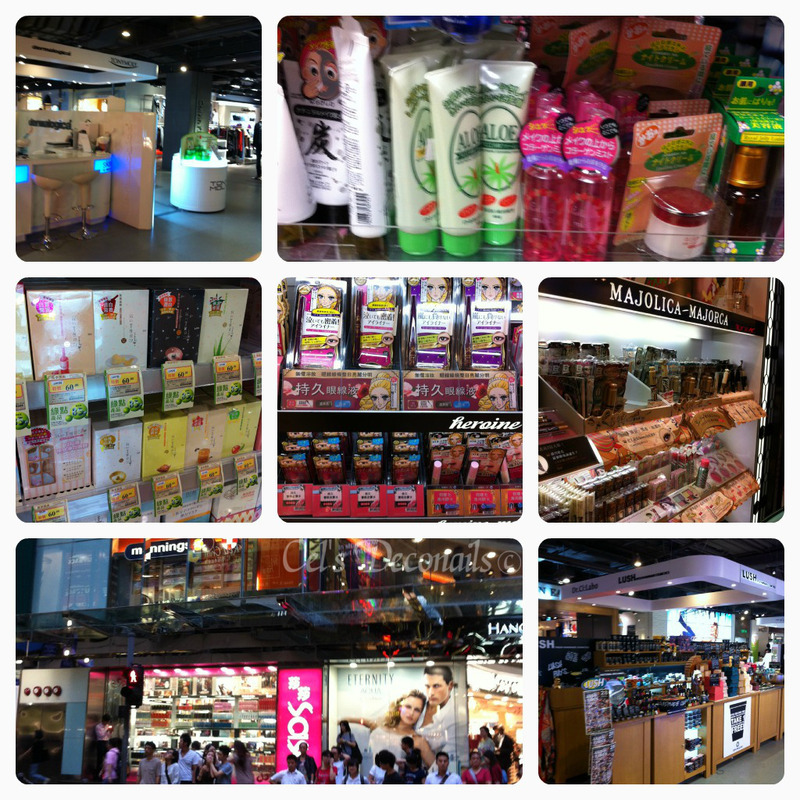 Also in Harbour City you can find standalone beauty booths. 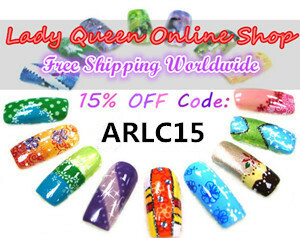 Brands include Lush, Tony Moly, Laka and Dermalogica to name a few. Have you ever been to Hong Kong dear readers? What is your favourite destination for shopping? I am considering a regular Asian beauty brands series of posts. ohh you got yourself some fab hauls my dear! very nice! 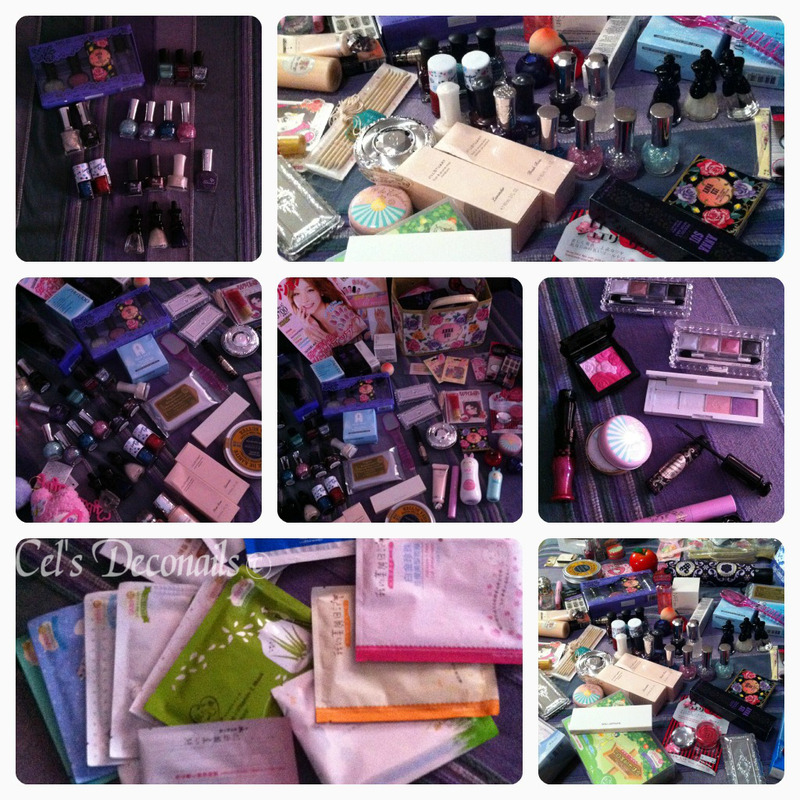 I envy your beauty buys haha! Lol you're one to talk! With all these fab products at your feet daily!!! I actually picked a little something up to do a giveaway too! Thank you! The prices were so good that I just couldn't pass these up! Wow...what an amazing haul! 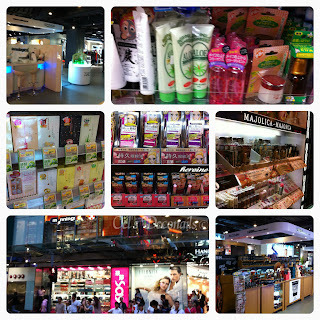 You were in non-stop shopping mode in HK =D Thanks a lot for the shopping tips!!! lol tell me about it! I was trying to make the best of my limited free time. wow!! you bought amazing things!!! I wish one day I ll go to hongkong!! I love your haul my dear!!!!! =D Hong Kong is such an awesome place but I'm biased hehe. My lovely, you know that without your precious help my haul wouldn't have been so epic! And you're not biased at all imo, Hong Kong rocks! woohoo, epic haul! We need more photos and swatches of course! :D The Asian brands posts that Smugnificent suggested sounds perfect, I've only tried a couple sheet masks but I want to discover more Asian beauty products! Thank you my lovely ^_^ I have already started swatching and photographing what I got so I will be making the first posts soon!